A Mixed Reality and Augmented Reality game created for Microsoft HoloLens using Unity and Vuforia. 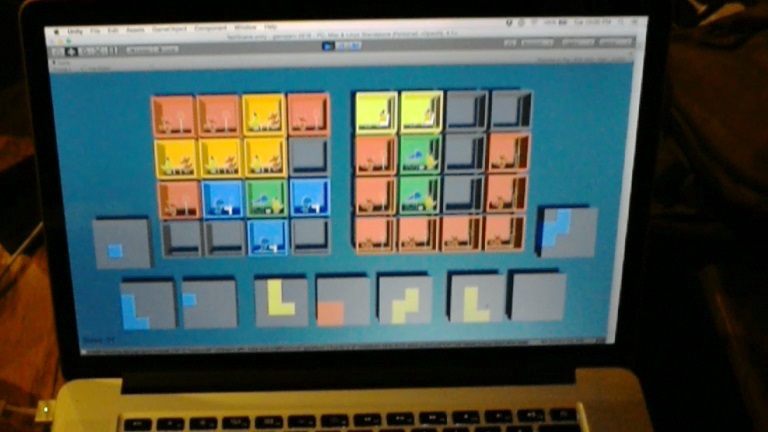 This is a 3 user game and requires 3 HoloLens devices and a seperate game state server. 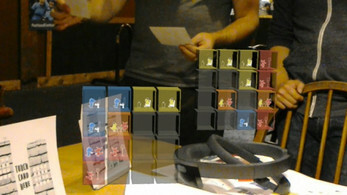 As well as printed cards that are used to trigger augmented reality content. The goal of the game is place as diverse a set of Tennants in 2 given Condo blocks. As a gamer you are member of Color Wheel Property Management! As the newest property managers, you'll need to work together to fill our high-priced luxury apartments with as many tenants as you can. 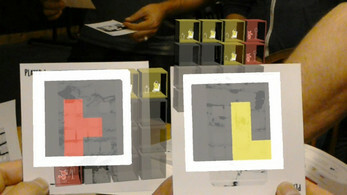 Tenants are placed in blocks of different shapes, one color at a time. You will have to work as a team, each taking turns placing a block of tenants, following city regulations for placement (see the next page). 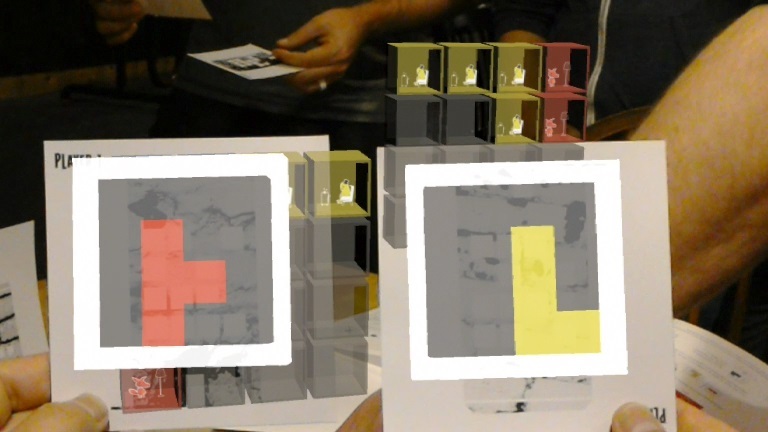 - Rotate physical block cards to change the orientation of the virtual block. - Touch the card onto the stand to confirm the block of rentals. Take it back after it's been confirmed. 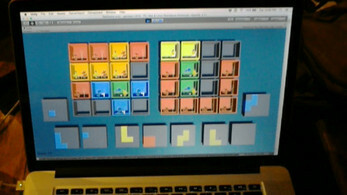 When you can no longer place any more blocks, your rental score will be tallied. You will receive one point for every tenant in the building. Please see the Instructions.pdf for full color detailed rules. Download the demo.zip to see a HoloLens capture of the game.